All matches will be the Best of 7 frames. All qualifying events are straight knockout, with qualifiers from each day progressing to the Grand Finals Day in Gloucester on Sunday 5th April (PLEASE BE AWARE THAT THIS IS EASTER SUNDAY IN THE UK). The basic premise is that winning 4 matches in a row secures you a Grand Finals Day slot and at least £100 prize money. 16 qualifiers will contest the Grand Finals and the draw will be random. There will be an Order of Merit in operation throughout the tournament. The players who finish 1st and 2nd on this list will also qualify to Grand Finals Day. Qualifiers: Smart. Shoes, polo shirt or collared shirt and trousers. Grand Finals Day: Formal. Waistcoat, trousers and shoes, no bow tie required. 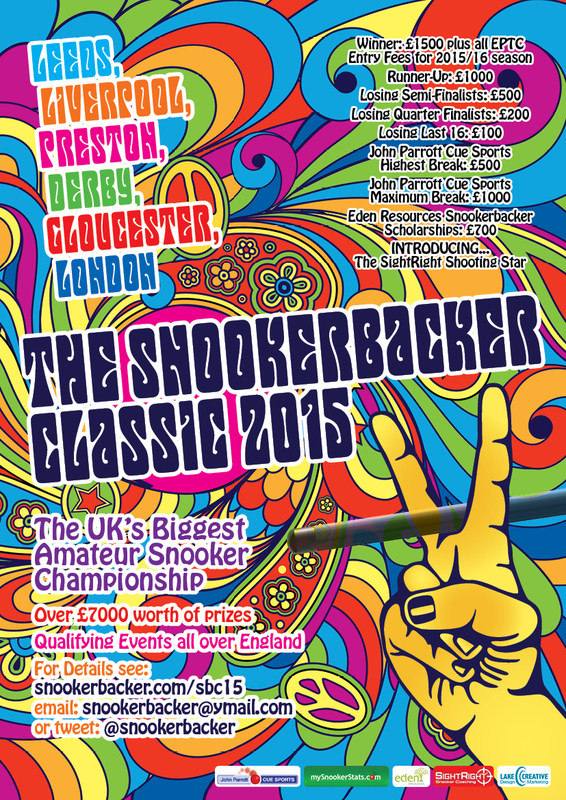 * Based on 6 EPTC events at £100 entry fee courtesy of Lake Creative. Winner must agree to terms and conditions of this prize.